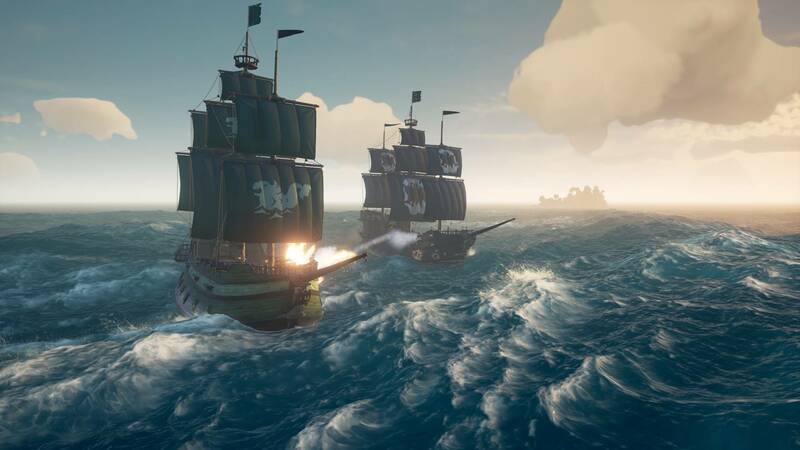 Rare and Microsoft will be adding rowboats into Sea of Thieves with the upcoming Forsaken Shores content drop, and ahead of that, they have launched a new video, showing us how the development team tackled their implementation in the game. It seems like it would be an easy thing to put in, but there was a surprising amount of thought put into it all, from how it looks, to how it controls, to how it behaves, and more. Rowboats will have a set number of seats, and should actually allow for some very interesting opportunities in-game for players to make getaways, or take down other crews. It’s also a sign of Rare’s continued commitment to the game, which was otherwise met with a mixed reception at launch because of a paucity of content and mechanics in it at the time- if they keep at this, who knows, a few years from now, the game will probably end up pulling a total reversal in perception. Sea of Thieves is available now on Xbox One and Windows 10.